Samsung’s latest gigabit-class smartphone is coming to America’s best unlimited network. Buckle up. Bellevue, Washington — August 23, 2017 — The speed race is officially no-contest. 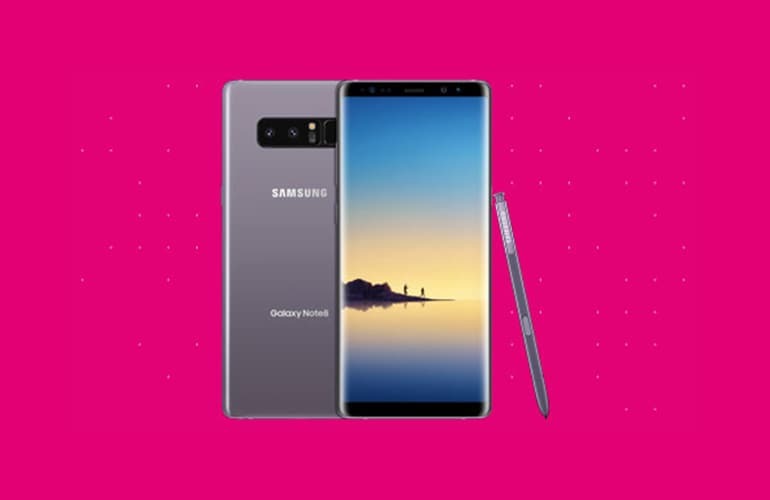 When the Samsung Galaxy Note8 launches on America’s best unlimited network on September 15, T-Mobile (NASDAQ: TMUS) customers can experience the Note8’s true speed. And, to start your engines, anyone can go to http://t-mobile.com/samsung-galaxy-note8 at 9:01 p.m. PT today to pre-order the Galaxy Note8. If you purchase on or before September 24, you’ll get a FREE Samsung Gear 360 Camera (worth $229). The rigorously tested Galaxy Note8 is the third gigabit-class phone to launch at T-Mobile. And America’s best unlimited network just keeps getting better! 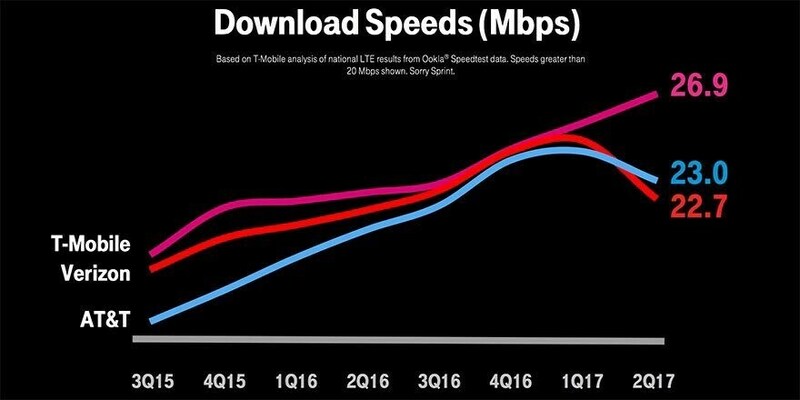 Since the launch of the Samsung Galaxy S8 -- the first ever gigabit-class phone on T-Mobile’s network – average speeds have gone up by nearly 2Mbps. The data from millions of customer tests speaks for itself. And T-Mobile was recently named #1 in speed, latency and LTE availability by OpenSignal’s comprehensive study of actual customer experiences based on over 5 billion real customer tests. The Galaxy Note8 will be available online and at participating T-Mobile stores across the country on September 15 in Midnight Black and Orchid Gray for $210 down and $30 a month on T-Mobile’s Equipment Installment Plan, or $0 down and $39 a month on JUMP! on Demand (FRP: $930). Limited time offer; subject to change. Device pricing for well-qualified customers. Plus device tax. Equipment Installment Plan: 24-month finance agreement; 0% APR. If you cancel wireless service remaining balance on device becomes due. JUMP! On Demand: 18-month lease. You must return device in good condition or pay it off to keep it. If you cancel wireless service, you must contact us before switching carriers or remaining payments become due. Gear 360: purchase or lease a Note8 by 9/24/17 and submit required info via Shop Samsung app by 10/14/17 at 11:59 ET to receive Samsung Gear 360 camera by mail. Allow 6-8 weeks after verification. Limited quantities available. Limit 1 gift per purchase. See add’l terms at http://promos.samsung.com/terms. Gigabit-class speeds may require qualifying plan or extra feature. OpenSignal Reporting U.S.A. (August 2017). © OpenSignal. All content in report is owned by OpenSignal. Reports produced by OpenSignal may not be quoted, reproduced, distributed, or published without prior written consent.